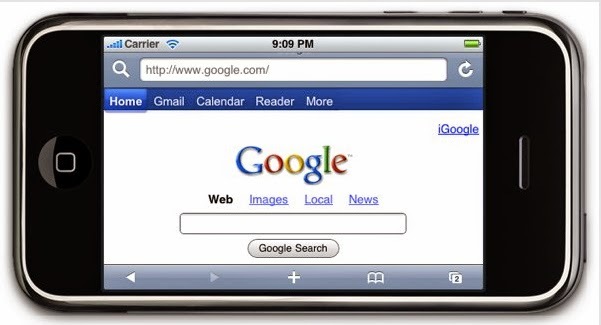 Due to the growing use of mobile search and bombardment in mobile search queries, Google is forced to apply some new techniques for making the overall search experience pleasant for the users. Query prediction remains one of the main areas to reduce the time interval between the manual entry of query and display of search results. For desktop users, Google has been successful in providing instant search and impressive query suggestions which reduces the time spent by the user on manually entering the query. But, in the case of mobile devices it is difficult. The main reason being, the search patterns for mobile queries are different and the user behavior based on the device complexities are also different. This article is based on a research study published here which helps to uncover the details as to how Google predicts mobile search queries and what are the text prediction techniques it uses in order to automatically predict a search query. eZiType - Those which complete the individual words before they are typed. T9 - Originally developed by Tegic Communications, T9 is a technology that refers to the 9 buttons used on a cell phone. T9 is apredictive texting technology which allows the user to enter text with just one key press instead of pressing the key 4 times for typing the letter S.
iTap - This technoloy has been developed by Motorola. It helps to guess the complete word when the user has just typed in the first few words. As per this research, 2 sets of users are shown 2 types of screens - query display screen and the query input screen. User are allowed to enter the query through the query entering screen and the query was displayed in the query display screen. In total, 6 interfaces were used with query suggestions ranging from 0 to 6. This means, different users were shown different interfaces. As per the results of this experiment, the workload time for queries with suggestions improved considerably. The number of key presses required was reduced due to the presence of query identification systems.